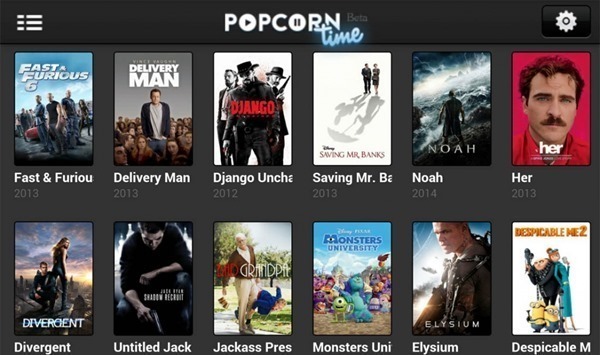 Popcorn Time has hit the headlines on a number of occasions recently, and has generated a degree of notoriety as a result. With support for a number of platforms, the Torrents-based p2p movie streamer is a big hit with consumers, but as you might expect, Apple’s iOS hasn’t welcomed the app with open arms. Hitherto, those looking to indulge in a little Popcorn Time on iPhone, iPad and iPod touch have often needed to jailbreak, but now, it is possible to install and run without jailbreaking using a simple installer, and it supports iOS 8.2 too. The enhanced release of Popcorn Time for iPhone and iPad means that you can watch your favorite flicks without having to jailbreak, but the custom installer that is also being developed by the Popcorn Time dev team will potentially hand other developers a license to do likewise. Just how many devs will take advantage of the custom installer remains to be seen, but if it does pave the way for third-party apps to be installed without jailbreak or App Store verification, it will surely pique the interest of the community. 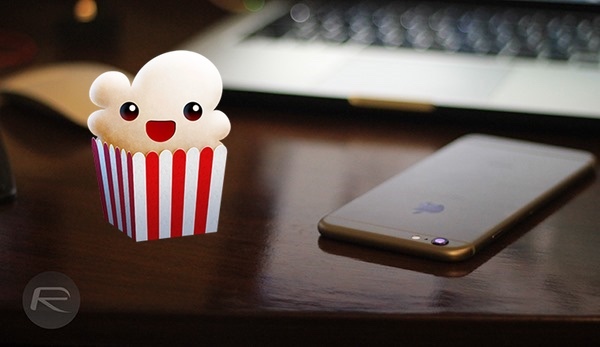 Indeed, it will also catch the attention of Apple, a company known for being swift in its fight against those looking to hack its ecosystem, but for now, the arrival of Popcorn Time for non-jailbroken iPhones, iPads and iPod touches is a welcome one for many users. If you’ve continued to follow the goings-on in the jailbreak community purely for the purpose of adding Popcorn Time like apps to your repertoire, then the endless chasing may now be over. The iOS app allows you to enjoy movies and TV shows on your iOS device, but there’s also streaming support if you’re looking to hook up to, say, your Chromecast or Apple TV. 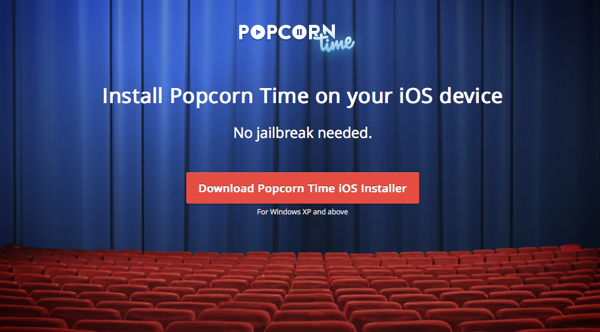 This isn’t the first occasion that we’ve seen Popcorn Time gracing non-jailbroken devices. It was also possible last year using a little date-altering trick, but while that solution always appeared to be a short-term one, the amount of work that has gone into this release suggests that it mightn’t be so easy for Apple to block this one. You can download the custom installer from: iosinstaller.com/popcorn-time/ and at this current point in time, it only supports Windows. If you have a Mac, then you might want to sit this one out until the OS X version of the installer is released, or you can ask your Windows-toting buddies for a favor on this one. Does anyone know if you’re able to use Chromecast with Popcorn Time for iOS? I can cast to my XboxOne. Haven’t tried Chromecast yet. i have a macbook pro, and an iphone 6, i tried installing, the first time it installed it wasnt running properly, so i deleted the app and reinstalled it on my mac and iphone. it says installing to my iphone but the installation takes wayy too long and then i get a notification saying my system memory is almost full, 12 gb of space is used, how can i undo this? and how do i install the app, every time i try my laptops memory gets full. I install it 3 times, after use for one time, works well, however, when you turn it off won’t start again get corrupted, and have to install again via the computer, this is the fourth time it happens. Any sugestion? For all the folks out there that want to ՍΝᏞΟᏟΚing AT&T phones, you are able to google just google atttiphoneuunlocking, we are able to ՍΝᏞΟᏟΚing most of the AT&T phones updated, including the most recent 6S and 6C.